The Star 37D Upper Stage of the Delta 2913 launch with the COS-B Cosmic Gamma-Ray satellite re-entered the atmosphere on May 20, 2017 after over four decades in orbit. 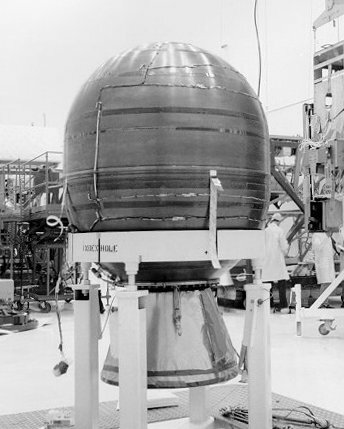 Star 37 was introduced in the 1970s and has been used on a variety of spacecraft. The upper stage features a 0.93-meter diameter casing holding a total of 718 Kilograms of solid propellant, consumed during a 50-second long burn to create around 44 Kilonewtons of thrust and provide the final kick to deliver a payload into orbit. Re-Entry Prediction: May 20, 2017 – 15:05 UTC +/-15 Min.